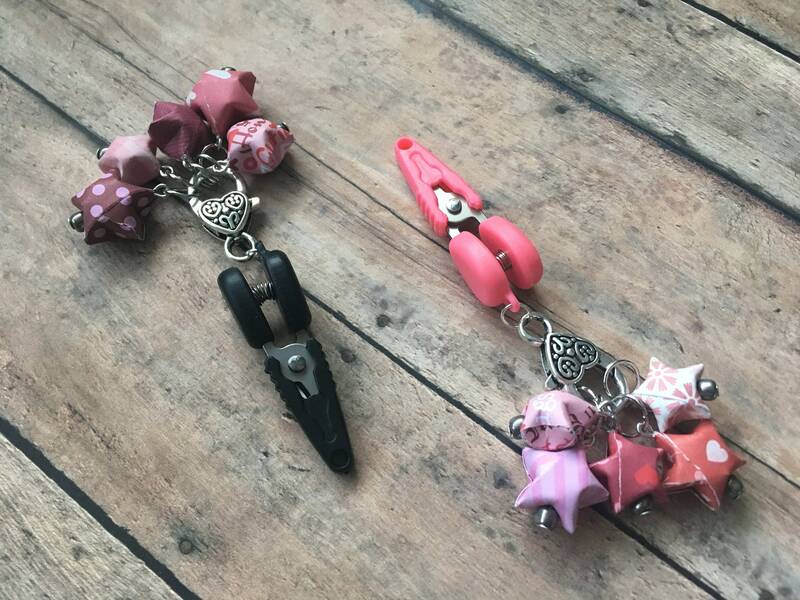 Our brand new Valentine's Day stitch markers arrive with a set of 5 of our pink, red, and white origami stars, handily clipped onto your choice of black or pink mini scissors! These scissors were custom made for my shop, and are so sharp they'll cut through any yarn you throw at them in one clean cut, including extra bulky. I've even used them to cut through leather! The removable cap and spring action makes them very easy to use, and they fit in my Tool Tins just perfectly. 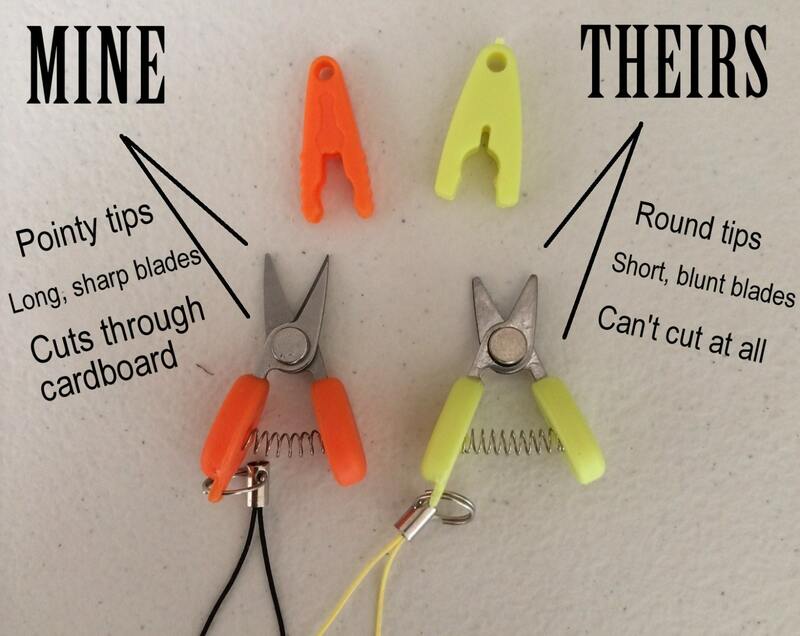 You won't find these anywhere else on Etsy - compare the tips and you'll see that my custom snips are razor sharp! 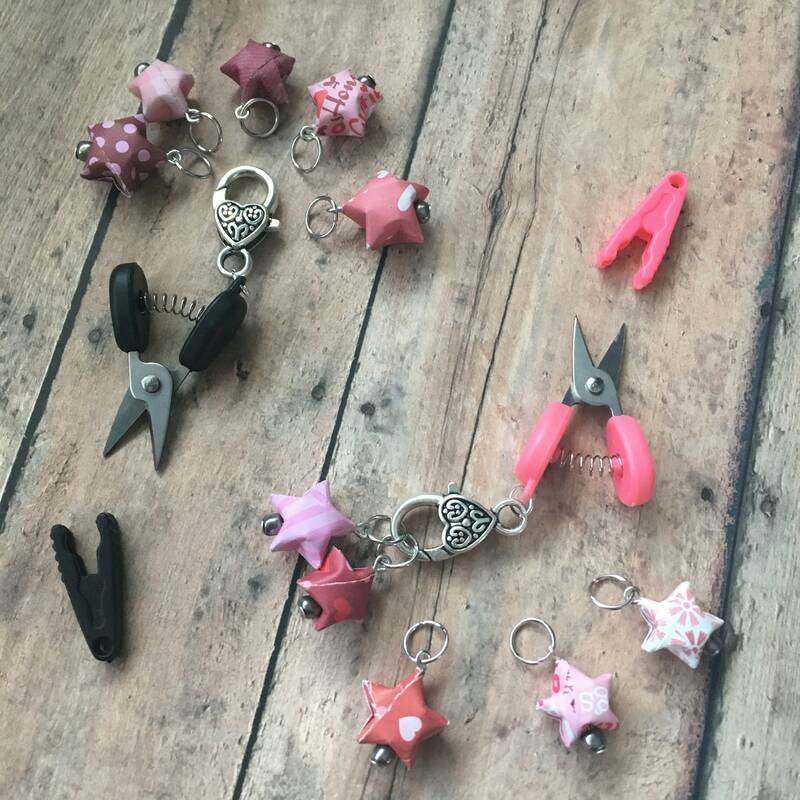 This listing is for one pair of miniature scissors with a set of 5 pink, red and white origami star stitch markers, sized to fit up to a US 8/5 mm needle. Please note that photos show both available colors; each set contains its own unique combination of stars. Scissors measure approximately 1 7/8 in/4.69 cm tall and are spring loaded. These have sharp tips and are approved by TSA for air travel within the US.